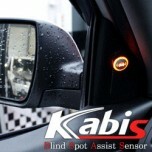 ITEM: Blind Spot Assist (BSA) Sensor DIY Kit for CHEVROLET MANUFACTURER : KABIS ORIGIN&n.. 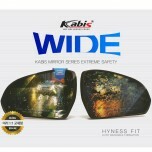 ITEM: Heated Wide Side and Rear View Mirror Set for CHEVROLET / SSANGYONG MANUFACTURER : KABIS.. 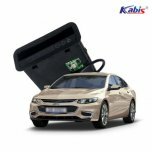 ITEM: Quick Wireless Charger Pad for 2016-2017 Chevrolet All New Malibu MANUFACTURER : KA.. ITEM: Blind Spot Assist (BSA) Sensor DIY Kit for 2011-2012 Chevrolet Aveo MANUFACTURER : .. ITEM: Blind Spot Assist (BSA) Sensor DIY Kit for 2011-2014 Chevrolet Captiva MANUFACTURER .. ITEM: Blind Spot Assist (BSA) Sensor DIY Kit for 2011-2014 Chevrolet Cruze MANUFACTURER :.. ITEM: Blind Spot Assist (BSA) Sensor DIY Kit for 2012-2013 Chevrolet Malibu MANUFACTURER .. ITEM: Blind Spot Assist (BSA) Sensor DIY Kit for 2011-2013 Chevrolet Orlando MANUFACTURER .. ITEM: Blind Spot Assist (BSA) Sensor DIY Kit for 2011-2013 Chevrolet Spark MANUFACTURER :.. ITEM: Genesis Style Rear View Mirror Cover Set with 3-Way LED Repeaters for 2011-2014 .. 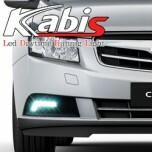 ITEM: LED Rear Bumper Reflector Set for 2011-2014 Chevrolet Spark MANUFACTURER : KABIS ORIGIN.. ITEM: Blind Spot Assist (BSA) Sensor DIY Kit for 2017~ Chevrolet The New Trax MANUFACTURER&nbs.. 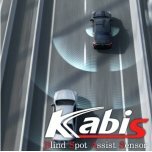 ITEM: Blind Spot Assist (BSA) Sensor DIY Kit for 2018 Genesis G70 MANUFACTURER : KAB.. 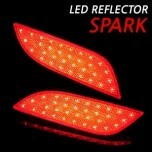 ITEM: Genesis Style Rear View Mirror Cover Set with 3-Way LED Repeaters for 2009-2011 Chev.. 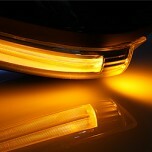 ITEM: LED Daytime Running Lights Set for 2009-2011 GM-Daewoo Lacetti Premiere MANUFACTURE.. 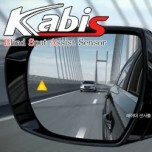 ITEM: Blind Spot Assist (BSA) Sensor DIY Kit for HYUNDAI MANUFACTURER : KABIS ORIGIN&nbs.. ITEM: Blind Spot Assist (BSA) Sensor DIY Kit for 2011-2014 Hyundai Grandeur HG MANUFACTURER&nb..